Google has many services to help people and businesses. Some you may use every day. Others you may not have discovered yet. Google Trends shows the most popular topics searched on Google. Click on a topic to read related news stories. Google Trends has a filter for dates and country to show more detailed results. View trends according to categories, such as business, sports, entertainment, health and science/technology. Trends will also show related topics. Compare two topics to see which is the most popular. Users can also see how a topic had been trending over time. We all have trouble keeping track of our phones. Maybe we set it down in an unusual place, like at a restaurant or train station. Perhaps a friend uses it and forgets to give it back. If that phone is an Android, there is a Google service that can help you find it. Go to google.com and type "find my phone." Google will show you where your phone is on a map. Click the “ring” link to make your phone ring. You can check to see all the Google services linked to your account at Google Dashboard. Users can see the bookmarks they have saved on Chrome, or which Android phones they have linked to their accounts. Users can also check out their +1's on Google Plus, view their search history and more. Users can change settings in many Google services directly from their Dashboard. Introduced last year, Google Photos gives users unlimited storage space for digital photos. The service helps keep photos organized, and users can search by person, place and date. Google Photos also will create albums of related photographs. Assistant combines photos to create a panoramic image and can create animations of photos. Recently, Google Photos launched a Rediscover This Day feature to remind you of photos you took on this day in past years. When you see an image on the Internet, you may wonder what it is a picture of. Or you might think you have seen it before but are not sure where. Google Reverse Image Search helps users learn more about images that interest them. They can find out what the subject of the image is, where the image has appeared and about its usage rights. When planning a trip, you may want to find the lowest priced flights or those that are most convenient. 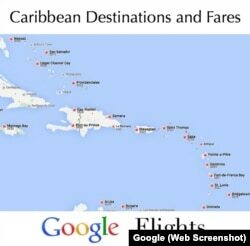 Google Flights shows both. A calendar view shows prices of flights on different dates. Users can also see flight choices on a virtual map. Use the I'm Feeling Lucky Button in the map view of Google Flights to have the service suggest a trip for you. Google Maps shows points of interest, directions, traffic, public transportation information, routes, and images of places. Google Maps can be used as a website or as an app. The service shows live traffic. It also lets users set day and time information to see how traffic has been in the past. And, Google Maps can show how crowded a business is at certain days and times. Users can download maps for viewing when they are away from the Internet. Google Street View can show you what a place looks like at ground level. Is that friend’s house you are trying to find large or small, brick or wood? What color is it? Street View can show you. And, Google Earth gives you the view from above. Google Arts & Culture is a website filled with the greatest art in the world. Take virtual tours of museums, find out about special exhibits, learn about the history of art at the site. Search by color, medium, artist, date, location and more. Watch ballet and opera performances from around the world. You can save your favorites to find them easily later. Planning a trip? Check the site to get a preview of the art you can experience there. Learn the translation of words in over 100 different languages with Google Translate. Translate words and phrases from other languages into your native language by copying and pasting text into the Google Translate website. The service can detect a language if you are not sure what it is. You can type text to translate words from your native language into other languages. Be careful though, the translations do not always include cultural context. In addition to a website, the service is also available as a Google Translate Chrome Extension. The Google Translate apps let users translate words as text. You can also point the phone's camera at a word for instant translations. Field Trip can help users discover interesting places nearby. This app shows what is around you, including historical sites, restaurants, parks, museums and more. The Field Trip app is free and can alert users when they are close to an interesting place. Google Hangouts is a free chat service that lets users send text messages or have video calls. Users can add up to five people for a group video chat. Google Hangouts also lets users share their screens with others so that viewers see an image of the computer screen instead of the person. If a topic is important to you, Google Alerts can help you stay informed about it. Google Alerts can send you a notification when that topic is mentioned on the Internet. For example, you can set up a Google Alert for your name, your company's name, or your favorite TV show. Set up your alert to control how often you receive them, where they are sent, and which sources are used. Google Dictionary is a handy extension for Chrome that provides the definition of words. Double-click a word to see the definition. You can save words you look up to study them later. Which of these Google services do you use? Are any of these services new to you? Are there any Google services not listed here that you recommend?